Lakeland Moonwalk carries one of the largest selections of bouncer rentals in Central Florida. Let us handle the setup and delivery of your bouncer for your special day. 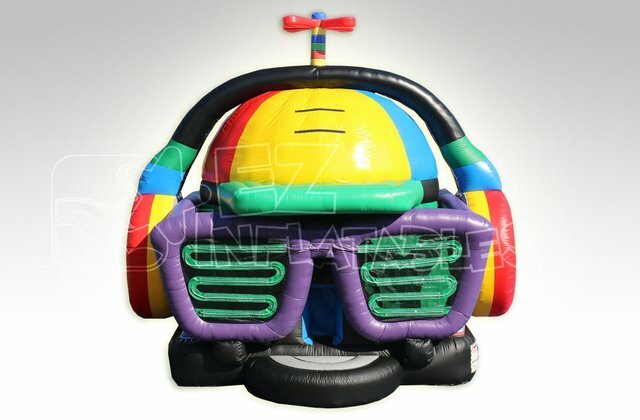 We carry themed bouncers to fit almost any type of party or more generic styles for gender neutral parties. We provide a large selection in size, color, and themes featuring your favorite characters. Browse the selections below and click on the image for more information and to make a reservation. Accept no imitations! This is the coolest jumper on the market! It’s dark on the inside with LED DJ lights flashing down and LED Lights on the DJ’s sunglasses. It’s a must-have for any big event! No need for a DJ with the built-in Bluetooth DJ System.